After 150 episodes, Loren Bouchard’s family sitcom is still primetime animation’s perfectly off-kilter moral center. For the first publicly documented time, law enforcement has used Face ID to forcibly unlock someone’s iPhone. It won’t be the last. Serverless has become a big buzzword of late, and with good reason. It has the potential to completely alter how developers write code. They can simply write a series of event triggers, while letting the cloud vendor worry about providing whatever amount of compute resources are required to complete the job. It represents a huge shift in how programs are developed, but it’s been difficult to find companies who were built from the ground up using this methodology because it’s fairly new. Blissfully, a startup that helps customers manage their Software-as-a-Service usage inside their companies, is one company that decided to do just that. Aaron White, co-founder and CTO, says that when he was building early versions of Blissfully, he found he needed quick bursts of compute power to deliver a list of all the SaaS products an organization is using. He figured he could set aside a bunch of servers to provide that burst of power as needed, but that would have required a ton of overhead on his part to manage. At this point, he was a lone programmer trying to prove his SaaS management idea was even possible. As he looked at the pros and cons of serverless versus traditional virtual machines, he began to see serverless as a viable approach. What he learned along the way was that serverless offers many advantages to a company with a bursty approach like Blissfully, scaling up and down as needed. But it isn’t perfect and there are issues around management and tooling and handling the pros and cons of that scaling ability that he had to learn about on the fly, especially coming in as early as he did with this approach. Blissfully is a service where serverless made a lot of sense. It wouldn’t have to manage or pay for servers it wasn’t using. Nor would it have to worry about the underlying infrastructure at all. That would be up to the cloud provider, and it would only pay for the bursts as they happened. Serverless is actually a misnomer, in that it doesn’t mean there are no servers. It actually means you don’t have to set up servers in order to run your program, which is a pretty mind-blowing transformation. In traditional programming you have to write your code and set up all the underlying hardware ahead of time, whether it’s in your data center or in the cloud. With serverless, you just write the code and the cloud provider handles all of that for you. The way it works in practice is that programmers set up a series of event triggers, so when a certain thing happens, the cloud provider sees this and provides the necessary resources on demand. Most of the cloud vendors are offering this type of service, whether AWS Lambda, Azure Functions or Google Functions. At this point, White began to think about serverless as a way of freeing him from thinking about managing and maintaining infrastructure and all that entailed. “I started thinking, let’s see how far we can take this. Can we really do absolutely everything serverless, and if so that reduces a ton of traditional DevOps-style work you have to do in practice. There’s still plenty, but that was the thinking at the beginning,” he said. But there were issues, especially getting into serverless as early as he did. For starters, White needed to find developers who could work in this fashion, and in 2016 when it launched there weren’t a large number of people out there with serverless skills. White said he wasn’t looking for direct experience so much as people who were curious to learn and were flexible enough to deal with new technology, regardless of how Blissfully implemented that. Once he figured out the basics, he needed to think about how this would work structurally. “Part of the challenge is figuring out where do you draw the boundaries between different serverless functions? How do you think about how much you want to overload the capability of one function versus another? How do you want to split it up? You could go way too specific, and you can of course, go way too broad. So there’s a lot of judgement calls to be made in terms of how you want to split your code base to work in this way,” he said. Blissfully uses AWS Lambda, and as their customers require resources, it isn’t as though Amazon has a set of dedicated resources set aside waiting for such an event. If it needs to start servers cold, that could result in latency. To compensate for that, Blissfully runs a job that pings Lambda continually, so that it’s always ready to run the actual application, and there isn’t a lag time related to starting from scratch. The other issue could be the opposite problem. You can scale much faster than you’re ready to deal with and that can be a problem for a small team. He says in that case, you want to put a limiter on the speed of the calls so you don’t end up spending more than you can afford, and it doesn’t scale beyond your team’s ability to manage it, “I think, in some ways, this actually accelerates you running into problems where you would normally be larger scale before you really had to think about them,” White said. The other piece is that once Lambda gets everything going, it can move data faster than your external APIs can handle, and that could require limiters to actually slow things down. “I never had that problem in the past where I was provisioning so many computational resources that Google was yelling at me for being too fast. Being too fast for Google takes a lot of effort, but it doesn’t take a lot of effort with Lambda. When it does decide to spool up whatever resources, you can do some serious outbound damage to other APIs.” That meant he and his team actually had to think very early on about building sophisticated rate-limiting schemes. As for costs, White estimates that his costs are much lower now that he has the service built and in place. “Our costs are so low right now, and far lower than if we had server-based infrastructure. Our computational pattern is very bursty.” That’s because it re-parses the SaaS database once a day or when the customer first signs up, and in between, usage is fairly low beyond interacting with the data. Bespoke Post says it has more than 100,000 subscribers signed up to receive a monthly “box of awesome” (that’s what it calls its bundles of curated men’s products). Next up: Creating brands and products of its own. It’s a common move for retailers and e-commerce companies to launch their own brands, but it sounds like Bespoke Post isn’t just looking to create generic versions of stuff you’re already buying. Instead, it says its “brand development studio” the Foundry will identify opportunities for men’s products that don’t exist, work with manufacturers to create those products and improve them with feedback from Bespoke Post customers. The company is also unveiling its first new brand, Base Light, which creates grooming products for men, starting with a line of bar soaps. How is this different from any other soap? Bespoke Post says the bars are handmade in the United States, without “harsh” ingredients like synthetic dyes, parabens, sulfates or phthalates. Base Light soaps are available for purchase individually, or as part of the company’s Refresh Grooming Box. There also are plans to launch Base Light-branded face wash, face scrub, face moisturizer, shampoo, conditioner, body wash and beard oil products this fall. Bespoke Post says it will also launch brands in categories like homewares, apparel and shoe care. 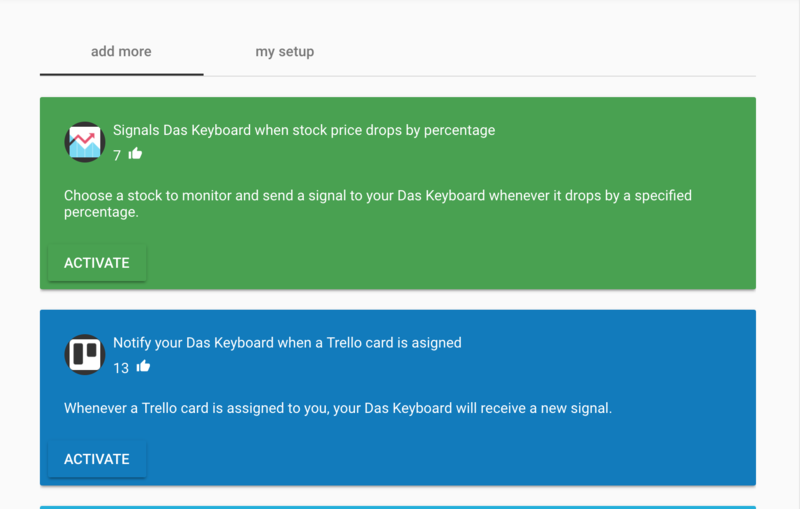 Just when you thought you were safe from IoT on your keyboard, Das Keyboard has come out with the 5Q, a smart keyboard that can send you notifications and change colors based on the app you’re using. These kinds of keyboards aren’t particularly new — you can find gaming keyboards that light up all the colors of the rainbow. 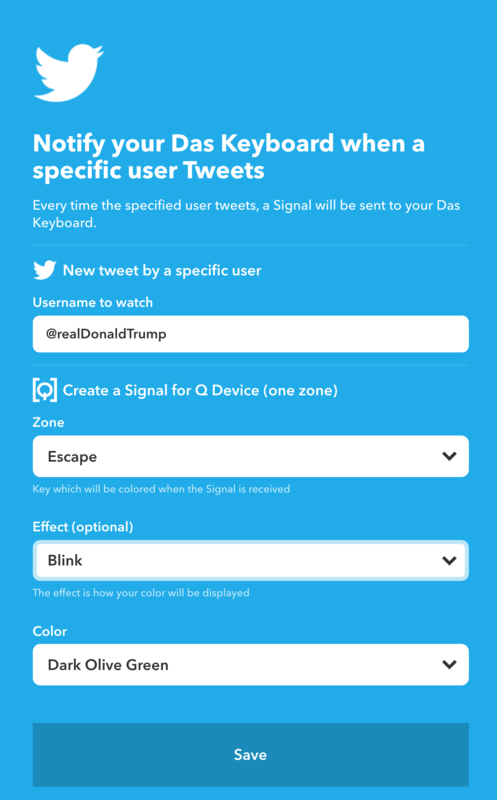 But the 5Q is almost completely programmable and you can connect to the automation services IFTTT or Zapier. This means you can do things like blink the Space Bar red when someone passes your Nest camera or blink the Tab key white when the outdoor temperature falls below 40 degrees. The $249 keyboard is delightfully rugged and the switches — called Gamma Zulu and made by Das Keyboard — are nicely clicky but not too loud. The keys have a bit of softness to them at the half-way point, so if you’re used to Cherry-style keyboards you might notice a difference here. That said, the keys are rated for 100 million actuations, far more than any competing switch. The RGB LEDs in each key, as you can see below, are very bright and visible, but when the keys’ lights are all off the keyboard is completely unreadable. This, depending on your desire to be Case from Neuromancer, is a feature or a bug. There also is a media control knob in the top-right corner that brings up the Q app when pressed. The entire package is nicely designed, but the 5Q begs the question: Do you really need a keyboard that can notify you when you get a new email? The Mac version of the software is also a bit buggy right now, but they are updating it constantly and I was able to install it and run it without issue. Weird things sometimes happen, however. For example currently my Escape and F1 keys are now blinking red and I don’t know how to turn them off. That said, Das Keyboard makes great keyboards. They’re my absolute favorite in terms of form factor and key quality, and if you need a keyboard that can notify you when a cryptocurrency goes above a certain point or your Tesla stock is about to tank, look no further than the 5Q. It’s a keyboard for hackers by hackers and, as you can see below, the color transitions are truly mesmerizing. An Apple story a day keeps readers clicking away. The HRP-5P is a humanoid robot from Japan’s Advanced Industrial Science and Technology institute that can perform common construction tasks including — as we see above — install drywall. HRP-5P — maybe we can call it Herb? — uses environmental measurement, object detection and motion planning to perform various tasks. In this video we see it use small hooks to grab the wallboard and slide it off onto the floor. Then, with a bit of maneuvering, it’s able to place the board against the joists and drill them in place. “By utilizing HRP-5P as a development platform of industry-academia collaboration, it is expected that research and development for practical use of humanoid robots in building construction sites and assembly of large structures such as aircraft and ships will be accelerated,” write the creators. Considering there are 6 million contractors in the U.S. alone, robots like this one could be a boon or a curse. What happens when we can easily replace humans in shipping, logistics and construction? Let’s just hope Herb here needs a supervisor.